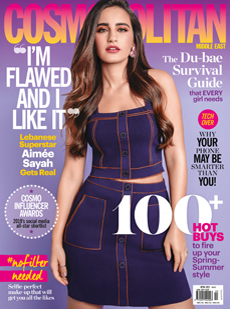 Cosmopolitan Middle East is the iconic magazine for 18 to 30 year old fun, fearless females in the GCC providing advice on fashion, relationships, self improvement, grooming and well being. Delivered in Cosmopolitan's unique tone it is the life-stylist for women who want to be the best they can in every area of their lives. The title has a circulation of 16,000 across the GCC and Lebanon with prime positions at all till points and is ITP Consumer's highest selling monthly magazine at newsstand.